Grade Level: 7-9 Age Level:12-14 Listening Level: Grades 4-6 Melkin Womper is thrilled to escape his dull future as a village weaver and develop his artistic talent when he's apprenticed to Ambrosius Blenk, one of Vlam's most famous masters. Mel is especially excited by the colors that he'll be able to use, since color is a very expensive Pleasure, strictly controlled by the sinister Fifth Mystery. Mel can't wait to enjoy the wonders of the grand city and begin his important work for Blenk. Instead, his dreams are quickly crushed by the reality of days filled with unimportant tasks and bullying by the other apprentices. But when Mel and his new friends, Ludo and Wren, inadvertently stumble into a battle between the Fifth Mystery and the Rainbow Rebellion, an underground band fighting to make Pleasures affordable for all, the trio must step through Blenk's paintings into the Mirrorscape. In this alternative world, the friends encounter monsters, mazes, talking houses, angels, and more. 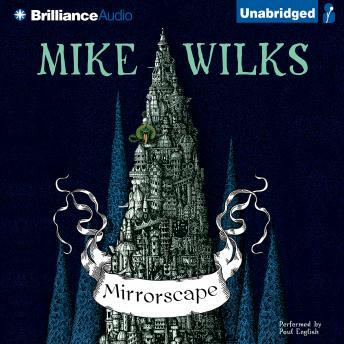 Hugely original and deeply compelling, Mirrorscape is a thrilling adventure filled with the beautiful and the bizarre, the fantastical and the frightening. Enter into an incredibly visual, secret world, where the ultimate weapons are pigment, a paintbrush, and the power of imagination.